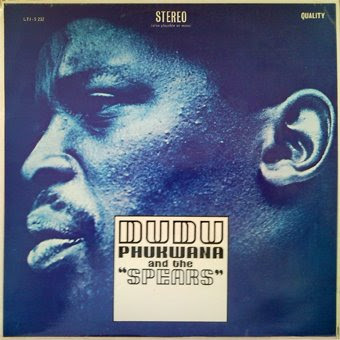 ElectricJive: One for Charlie - Dudu Pukwana and the "Spears"
I would be very interested to know the line-up on this record - apart from Dudu Pukwana and Richard Thompson. The sleeve says nothing, so a bit stuck here. 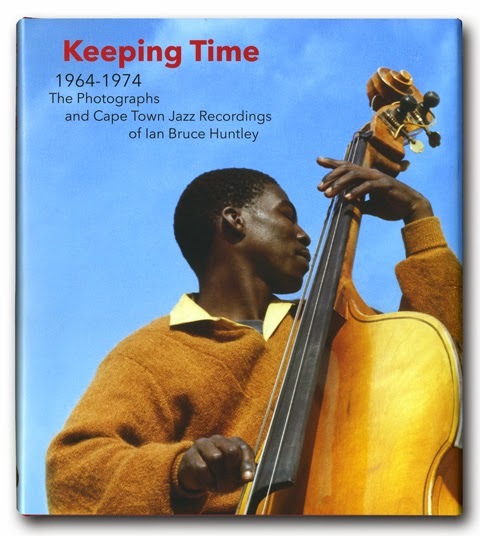 Thanks - most enjoyable record. I haven't a copy of Boyd's autobiography White Bicycles to hand, but maybe it would shed some light on personnel? Thompson seems to be trying very hard not to sound like himself, and Boyd seems to be keeping him very low in the mix. But maybe that's as it should be on a session like this. This one went for $750 0n eBay recently ! very year from 2000 to 2009, he compiled a world music double album, Gillett is one of the sans pareil singer in the popular music in England! No more Rapidshare :( Any chance of another link? Flatint lists a test pressing from the sessions for this album that includes four unreleased tracks. If I can be so bold as to make a request that those tracks are made available? That would be magnificent. 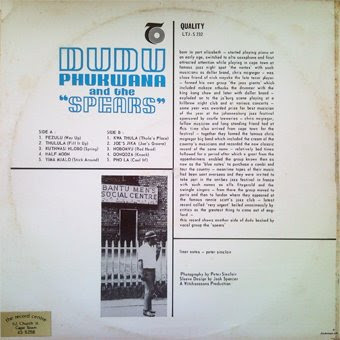 And do you think there is any chance of this album, the additional promo-exclusive tracks, and the six 1961/62 78rpm Dudu/Blue Notes tracks being released on CD? It would make a fantastic compilation imo. I do like to dream.